Bears and moose and wolves – oh my! But our bears, moose and wolves aren’t scary – they’re among the many fluffy friends you’ll find during your visit to the toy department at Speculator Department Store. We have a wide variety of high-quality plush animals to choose from, from traditional teddy bears to fluffy, cuddly kitties. 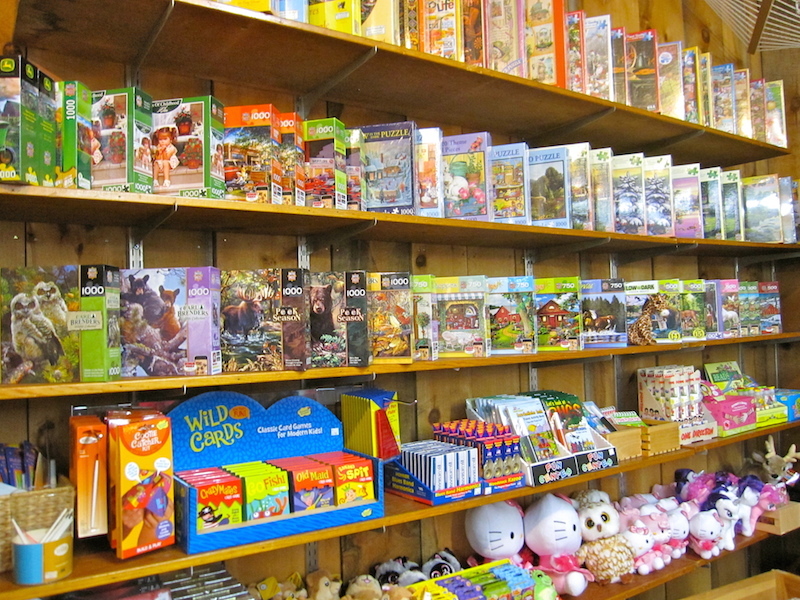 Plush animals aren’t the only toys at the Speculator Department Store – We also carry a wide variety of puzzles, books and games, which are sure to entertain any child. You’ll also find fun outdoor toys, like jump ropes, sand toys, squirt guns, batons, trucks and cars. Looking for the perfect baby gift? Go no further! From tiny-tot clothing to bibs, books, rattles and collectibles, we carry adorable items and treasures perfect for that special baby. Visit the Speculator Department Store – we’re sure you’ll discover just the perfect present for the special child on your gift-giving list.